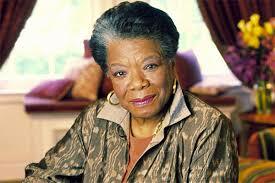 Dr. Maya Angelou’s passing was nothing less than a shock to me. I understand that she had lived her life and lived it to what I believe was life in the fullest. But I guess in my mind I didn’t expect that she would be gone, at least not yet. I was still working toward finding my way to that level where I would be cordially invited to meet her and speak with her and chat about life and learn from her. I imagined I still had time to accomplish that dream but I guess her purpose had already been served and it is her time to rest.